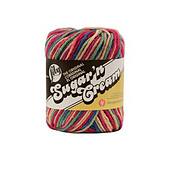 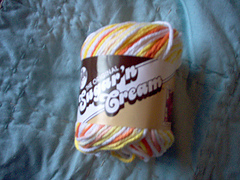 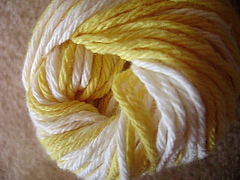 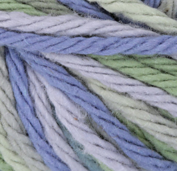 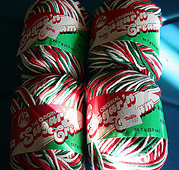 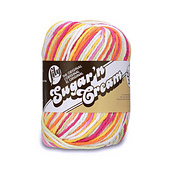 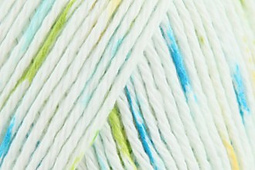 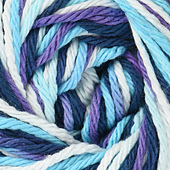 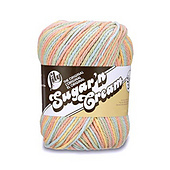 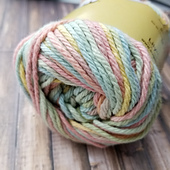 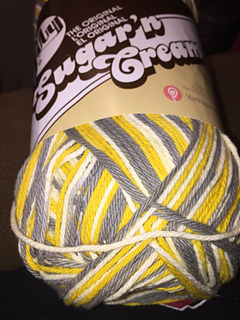 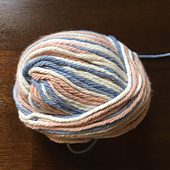 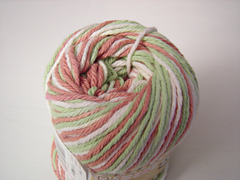 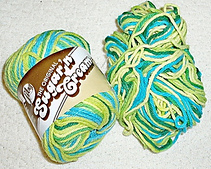 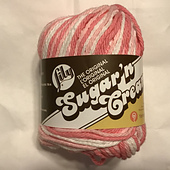 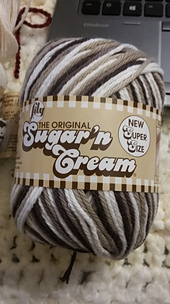 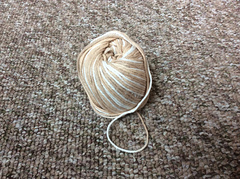 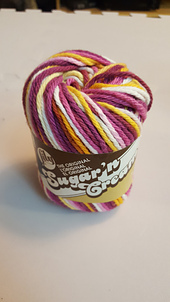 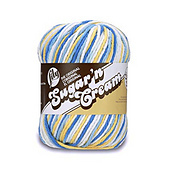 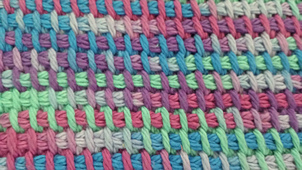 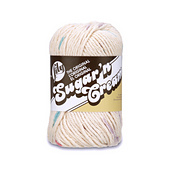 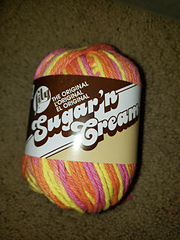 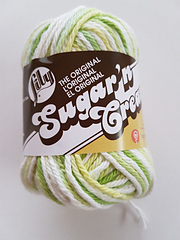 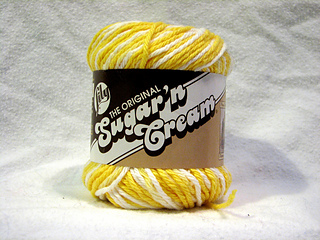 Please use this entry to catalog ALL sizes of Sugar n’ Cream variegated/ombres and prints, including cones, super size, 95 yard skeins, etc. 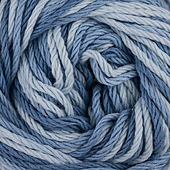 (Not including sport, stripes, twists, solids). 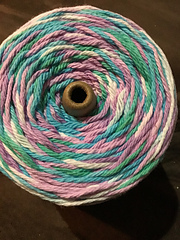 454 grams = 805 yds.